I really enjoyed the colours and the main idea from this one. 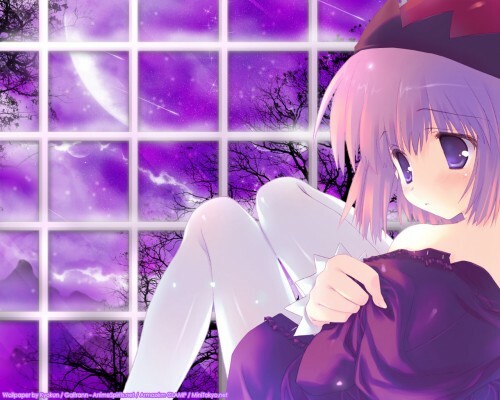 The innocence behind the cute girl's eyes in contrast with the deep colours from the BG, the calm yet very intriguing expression she has, the beautiful moon raising from far away, the shooting stars crossing the deep purple sky... everything mixing into a beautiful, mystical atmosphere. Once again, congratulations and thank you so much for your great work, I really have enjoyed it. very pretty wallpaper, nice work.